Laura Fortman, acting state labor commissioner, talks to CBS 13 about her department's efforts to help workers laid off in the closures of four Taco Bell fast food restaurants in the state. The Maine Department of Labor is helping workers affected by layoffs at four Taco Bell locations, where the fast food restaurants were closed suddenly last week. Those locations include restaurants in Augusta, Auburn, Portland and Biddeford. Rapid response sessions are taking place to immediately reach out to workers to let them know about job training opportunities. This is also an opportunity for those affected to learn how to apply for unemployment insurance if they’re eligible. The rapid response sessions included one which took place at the department’s CareerCenter in Portland at 2 p.m. Tuesday. Another will be held at the Lewiston CareerCenter at 2 p.m. Wednesday. 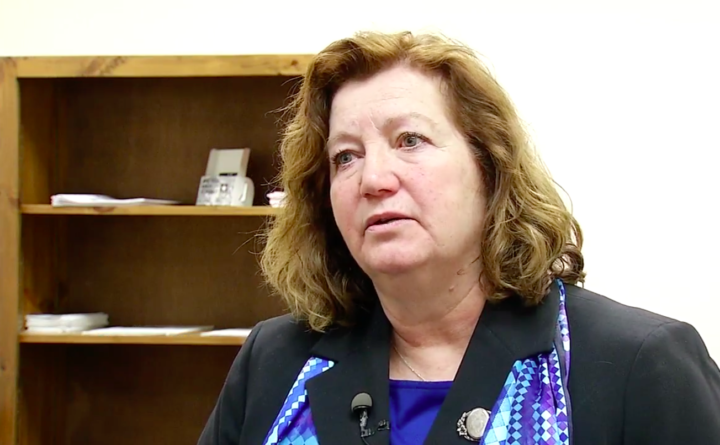 “We try to do an assessment for them, [to find out] what are the skills that they have and then where are those skills needed and connect them to jobs that require those skills,” Acting Commissioner of the Department of Labor Laura Fortman said. Fortman says it’s important workers make sure they are receiving their last paychecks from their employers after being laid off. If they don’t, they are urged to contact the Department of Labor.